The oven is an invention that’s been with us for a long time. Simple ovens were used in the Indus Valley and Mesopotamia as early as 3000 BC. 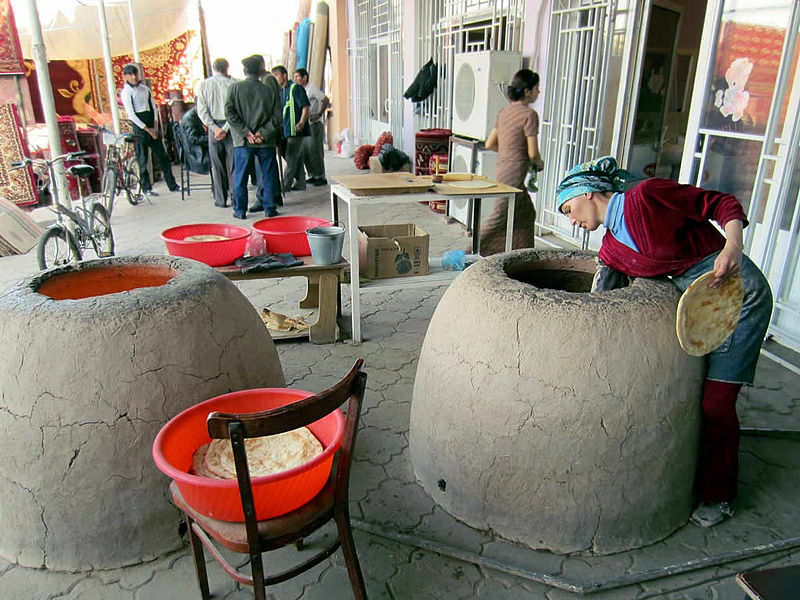 These were clay ovens called tandoors, and they’re still in use today. And yes, tandoori chicken takes its name from this device. Primarily they are used for baking bread, but tandoors generate tremendous heat, as much as 896 degrees Fahrenheit, and as such they can also cook stews, casseroles, and meats. I don’t know about you, but my home oven doesn’t get any higher than 450. This may be of interest to anyone writing something set in the Bronze Age, or anytime since then. Ovens existed. They were powerful and versatile. It is not the case that everything was cooked over an open fire. At least, not worldwide. That said, an open fire was the cooking method of choice in parts of Europe, notably Britain. In Britain, meat was roasted over a spit up until the 19th century. This involved maintaining a potentially dangerous hearth fire, and some poor soul to turn the spit. For a while, children were employed for this purpose, then a specially developed breed of dog called the “turnspit” (now extinct). Later, in the 16th century and beyond, mechanical jacks were invented that one could wind up and leave to do the work on its own. Ovens were known in Britain, just not preferred, especially for the task of roasting meat. Apparently meat spit-roasted by an open fire is more delicious than anything one can produce in an oven. I can’t say because I’ve never tried it. But it may be the reason why the English were so famous, at the time, for their roast beef. Further reading: Consider the Fork: A History of How we Cook and Eat, by Bee Wilson. This entry was posted in Fantasy, History, Writing and tagged cooking, fantasy, history, tandoor. Bookmark the permalink. Mmm. Love me some tandoori chicken. Excellent research as always. Thanks for sharing. Ovens are also basically the same thing as kilns, and they’ve had kilns that fired well above 896 (around double that for bronze or clay bisque) for a very long time, too, so the tandoor is probably not the hottest they could make. It’s just that at that point they’re no good for food. Yeah, good point about kilns; they’ve been around for a very long time. For some reason, while the western world had the technology (for ovens), they didn’t care to use it for quite a long time, except I think for bread baking. I need to try spit-roasted meat sometime. I’ve had rotisserie chicken of course, but I don’t know if that’s quite the same.